Are you familiar reading her name? 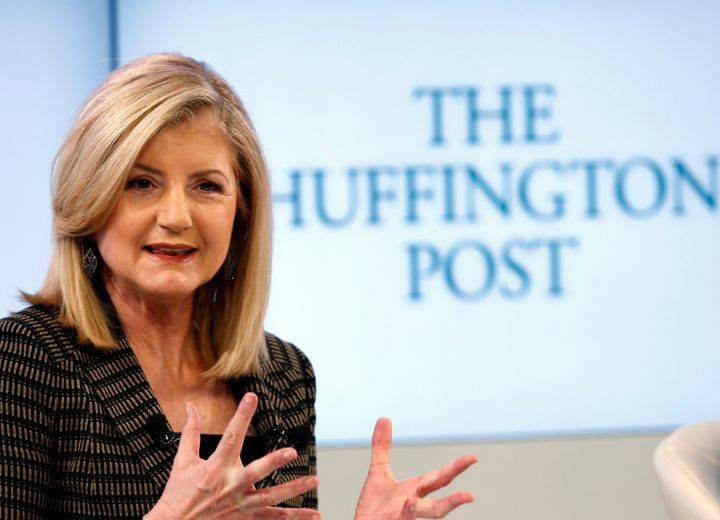 Arianna is the fabulous 66th years old woman behind The Huffington Post. What’s exactly The Huffington Post? That was an American news and opinion website which featured politically liberal both localized and international editions of it. This website was founded in 2005 and rebranded their name into “HuffPost”. Ariana Huffington is an American with Greece descent from her parents, and she was born in Athens. In her book called ‘Thrive,’ she mentioned many times how much her mother culturally shaped her in the way she lived her life in adulthood. Back in times, since early 70’s she started her career as an author. Her very first published book titled “The Female Woman”, and discussed a lot about her point of view towards woman liberation & movement. At such young age, she showed her interest and passion of politic and organization. No wonder that she participated in California Governor Elections back in 2003. And this is not the first time she involves directly in American politics. Her ex-husband, Michael Huffington, was one of U.S. House of Representative member in 1992. From this experience, we can guess that she’s another Clinton, who stood up and find her inner trigger after his spouse breakthrough in the same field. What we can learn from Arianna is how she and her three partners finding a big opportunity to raise a media, as a trusted and reputable news platform. Where each opinion having responsibility. During that time, news media is not as famous as now. We clearly remind that in 2005 we still look after a conventional media to find news about politics. Arianna shows us that hard work and being passionate will lead us into something great. But, in terms of giving back to society, we must be aware that our experiences might help other people to not be trapped in the same difficult situation. In 2014, she launched her book “Thrive” as we mentioned before. This book talks a lot how much she realized that inner peace and health were two things that will actually lead us to satisfaction. She’s really an inspiring woman. She shared how she was dealing with life uncertainty where she’s feeling tired and fed up with her life. She thought that there was no more reason to live. But in her book, she explained a lot what she learned in her life to us, especially women in The It Girls ages. With her journalism background, she keeps contributing even after stepping down as the Ed’s in Chief of The Huffington. In LinkedIn, she writes a lot about success and career, not too far from her main focus on her books and late publications. Now she’s currently back into her roots being an author. Last year, she launched her book called “The Sleep Revolution: Transforming Your Life, One Night at a Time”. Aside from it, she’s busy building her new startups Thrive Global, which focused on health and well-being information.